Corpus Christi, TX (March 24, 2019) On the evening of March 23rd, a serious two-vehicle crash happened on South Padre Island Drive and South Staples Street. According to the reports, a man driving a Jeep crashed into a parked red Mustang that was stopped due to mechanical errors. The impact of the collision caused the Jeep to flip over and land on its side. The dangerous crash happened at about 7:00 p.m. When emergency crews arrived at the scene, they found the driver of the Jeep pinned inside. Once they extricated him, they transported him to a nearby hospital for unspecified injuries. So far, the injuries are believed to be non-life-threatening. The police are currently investigating the accident to determine what led up to the crash. We wish the injured driver a quick recovery. One of the leading causes of vehicle accidents in Texas is distracted driving, which is when drivers are under the influence, using a cell phone, conversing with passengers, eating, grooming, or more. Statistics show that in 2017, about 449 people lost their lives in vehicle accidents caused by distracted driving in Texas alone. For those who have sustained serious injuries, it’s important to seek help from a Texas personal injury attorney to help with filing a personal injury lawsuit. At Benton Law Group, we have helped countless injured victims recover large compensation for damages and losses caused by distracted driving. Our lawyers have years of experience successfully pursuing all possibly negligent parties. Our clients are our top priority, which is why we are so passionate about helping them gain justice. 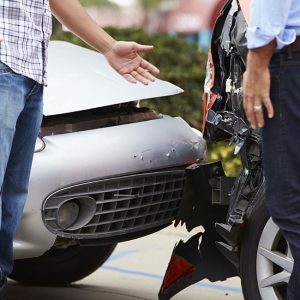 If you or someone you know was harmed in a car accident, call 214-219-4878 today.